Even during tough Depression Era times, style prevailed. 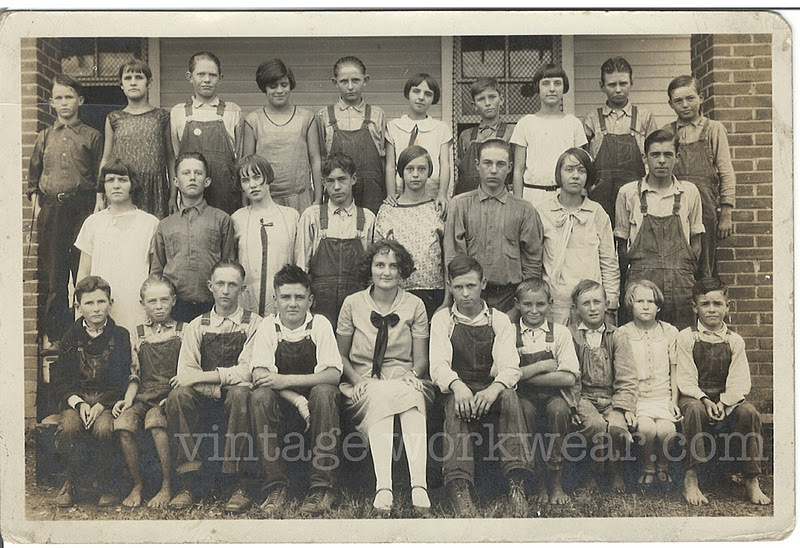 Some great details in this rural class photo include shirts buttoned to the top, angular pocket overalls, pop-over shirts, lace-to-toe boots and plenty of pomade assisted haircuts. Note that more than one young man is seen sporting the bare foot style reminiscent of a young Huckleberry Finn. As with most all of the wardrobe choices for the boys, this was likely born out of necessity and not a style choice. 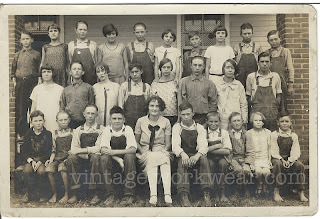 On the other hand, the young lady seen in the second row third from the left, seems to have an obvious sense of style. Looks to me like she could pass for a young Paz de la Huerta a.k.a. Lucy Danziger of Boardwalk Empire fame.